There's no stopping the Barcelona bandwagon as the La Liga champions look to be rolling on to another title following their win over Atletico Madrid. Juventus equalled their record number of consecutive league wins in a single season, while Pierre-Emerick Aubameyang celebrated another two goals with a somersault. Sinisa Mihajlovic and Roberto Mancini are old pals from their playing days together and Mihajlovic couldn't resist a good natured dig at his former Sampdoria and Lazio team-mate ahead of Sunday's Milan derby. Inter boss Mancini signed striker Eder on loan from Sampdoria before the meeting at the San Siro Stadium, which left Mihajlovic wondering how he can keep up to date with their rivals' comings-and-goings. "I've lost count of how many players Inter signed," said the Milan coach. 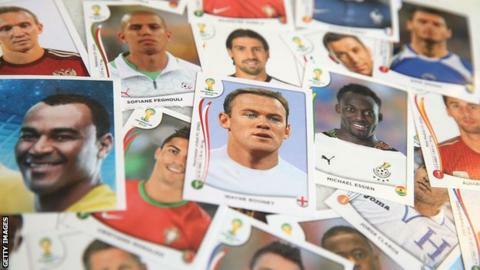 "The Panini album will have to introduce more pages to make room for all their stickers. "Jokes aside, Eder is a great player and we must compliment Inter on a great buy. I wish he'd only arrived on Monday, mind you…"
Mancini overhauled his squad last summer but so far in the January transfer window has signed the same number of players as Milan - one. Tommaso Bianchi's fresh start back in Italian football sadly proved to be a false one as the on-loan Leeds United midfielder lasted just 25 minutes on his debut for Serie B side Ascoli being sent off. Bianchi has endured an unhappy time at Elland Road with injuries blighting the latter part of his 18-month stay. The 27-year-old signed from Sassuolo in July 2014 and was a regular starter until he required knee surgery last February. He hasn't kicked a ball for Leeds since then and last week secured a return to Italy with a move to Ascoli. Bianchi is expected to complete a permanent deal in the summer so hopefully he didn't blot his copybook by collecting two yellow cards inside half an hour against Cesena. Ascoli were already down to 10 men at that point and went on to lose 3-0. Things can only get better. German Denis left Atalanta the perfect parting gift following an emotional farewell to Italian football and his adopted home city of Bergamo. Denis played his last game for the Serie A club on Saturday before he returns to his native Argentina to sign for Independiente. The 34-year-old forward has spent four-and-a-half years with Atalanta following earlier spells at Napoli and Udinese. And the old place obviously had quite an effect. "My family and I felt so welcomed and we leave holding you close to our hearts," said Denis via his Instagram account. "I will always have a special bond with this city, which fate brought me to and which I have come to love so much. "I have enjoyed intense and exciting seasons here. I loved every moment of my time at Atalanta, wearing and fighting for this shirt." So what better way to sign off than with Atalanta's equalising goal in their 1-1 draw with Sassuolo - his 56th Serie A goal for La De. Any chance of a quote? Filipe Luis needed somewhere to watch the second half of Atletico Madrid's top-of-the-table La Liga clash with Barcelona after being sent off for flattening Barca legend Lionel Messi with an X-rated tackle. He evidently decided his best view of the remainder of his side's 2-1 defeat, which did nothing for Atletico's title chances, would be in the Nou Camp press room. Not sure that would have happened during the defender's 12-month stay in the Premier League at Chelsea. Monaco were forced to wear their training kit for their Ligue 1 game at Angers on Saturday after all three of their match strips apparently clashed with the home team's colours. But it's unlikely they will be digging it out again after a 3-0 defeat saw their nine-match unbeaten league run come to an end. The result allowed Angers - resplendent in black and white stripes - to climb within two points of Monaco, who are second in the table. In December, Bordeaux wore a special one-off claret shirt when they played Angers after the French League claimed their usual strips also clashed too significantly with the home colours.